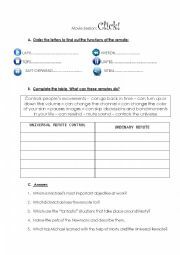 It´s an amazing worksheet on a film "Click". It can be used for different topics such as daily routines, healthy way of live, family, etc. 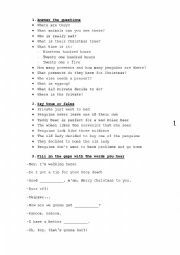 It´s a good worksheet to discuss Christmas and everything connected with it.